Despite Lonmin’s improving financial performance, Beamish described Marikana as a “social project for housing and education, one which shareholders aren’t getting anything out of”. 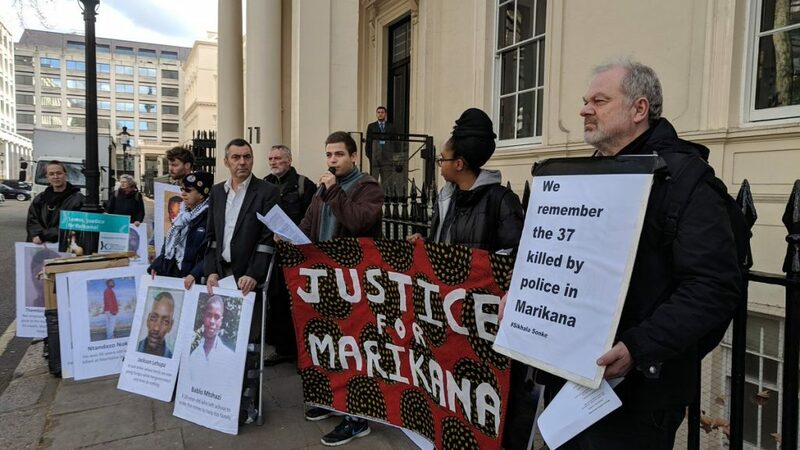 Members of the solidarity alliance responded by reminding Lonmin that it had accumulated vast profits from Marikana over decades–paying $607 million in dividends to its shareholders in the four years prior to the massacre and diverting $160 million to a tax haven in Bermuda–whilst failing to fulfill its legal obligations to provide its workers and the community with affordable housing and basic dignity. (2. )The Social Labour Plan was agreed in 2006, in which Lonmin outlined its plan to develop the community of Marikana, including building 5,500 houses for mineworkers and their families. Yesterday, Lonmin announced that they have now built around 1,000 homes, in 13 years.